Word on the street was that Do Aur Do Paanch (2 + 2 = 5) was not so spectacular. Apparently despite having a title that Radiohead and George Orwell would be proud of, it just did not have panache. No chutzpah. No je ne sais quoi. Well, PPCC readership, the PPCC must disagree with the word on the street, because we just loved it! Maybe it was presentation. Our copy of Do Aur Do Paanch has no DVD menu, no censor board blurb, nothing. 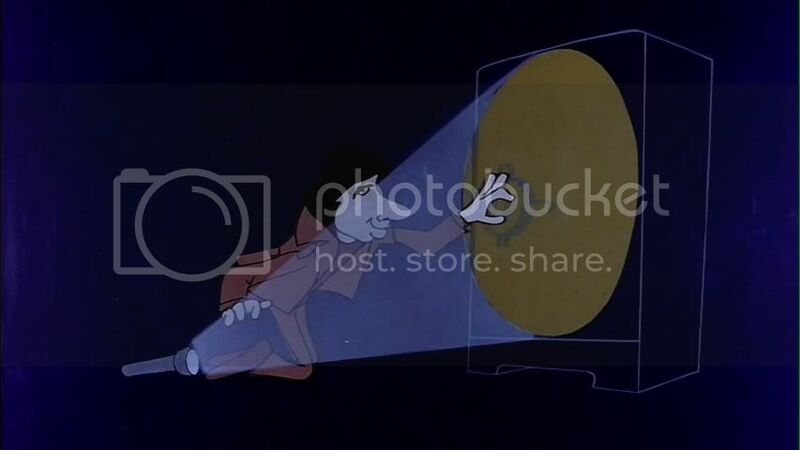 Instead, as soon as you press play, it unceremoniously BLASTS out with the psychadelic, Pink Panther-inspired cartoon opening, and away we go! Things become more and more surreal as the movie progresses, until, as others have commented, the end just clatters up like a broken-down machine. But the first half is delightfully entertaining; it's comedy in the same self-aware, absurdist vein as Namak Halaal, except we liked Do Aur Do Paanch more (we spent much of Namak Halaal going, "Wait, what?" and it was only with several viewings that we could relax into the surreal). It made us all tickly and giggly. Much of the humor, fortunately or unfortunately, is self-referential. For example, consider Shashi Kapoor's character assuming a very Shashi Kapoor-like role of the Handsome Romantic Lead With a Tragic Past. 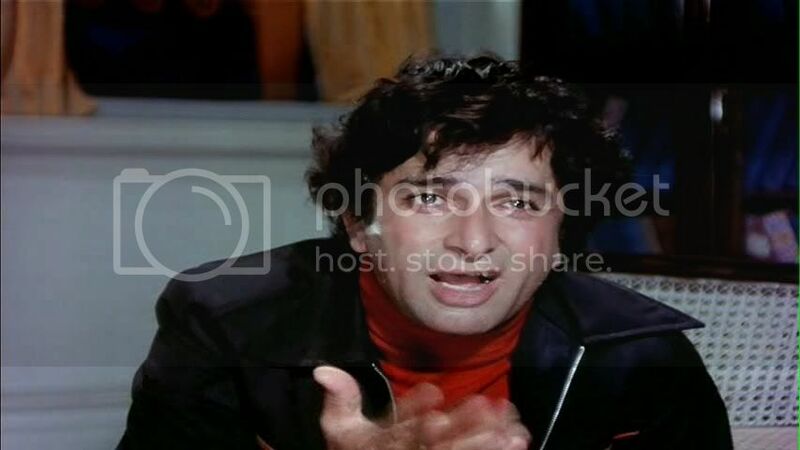 The fact that he is faking it, and that he is teasing an archetype that he largely defined in the 1970s, makes his scenes with Hema Malini wonderfully satirical for those in the know, and just standard funny for those not. For this reason, we might not suggest Do Aur Do Paanch as an initiation masala film for the virginal Bollywood viewer. It's probably more enjoyable for the seasoned veteran. Our beloved Om Prakash makes a brief appearance. Shashi, teasing the earlier roles he played with Hema Malini. The plot: two criminals (Amitabh Bachchan and Shashi Kapoor) are always in and out of jail, and always in each other's way. They hate each other, and yet they always end up together as they go for the same bait. 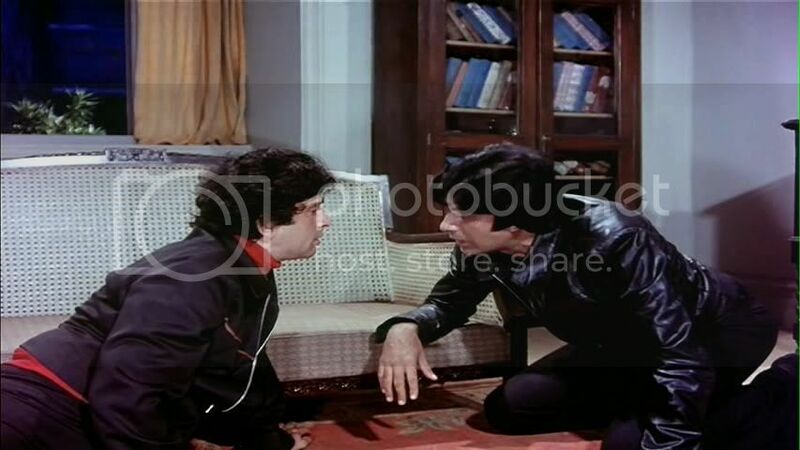 One day, they discover a plot to kidnap a rich man's (Shreeram Lagoo) young son, Bittu (MASTER BITTU, OF ALL PEOPLE*). The ransom, rumor has it, is like a billion kajillion rupees, because said rich man is very rich and loves his son very much. He loves little Bittu so much that he sends him to boarding school, in the hope that he will be safe there. Amitabh and Shashi naturally get wind of this news and both arrive at the school in the guise of new teachers: the lanky Amitabh as Ram the Gym Teacher, and the delicate Shashi as Lakshman the Music Teacher. 2. But first get wasted and have an emotionally candid confessional. 3. Get dumped by the girls. 4. But then ask for their help. 5. And finally save Bittu. 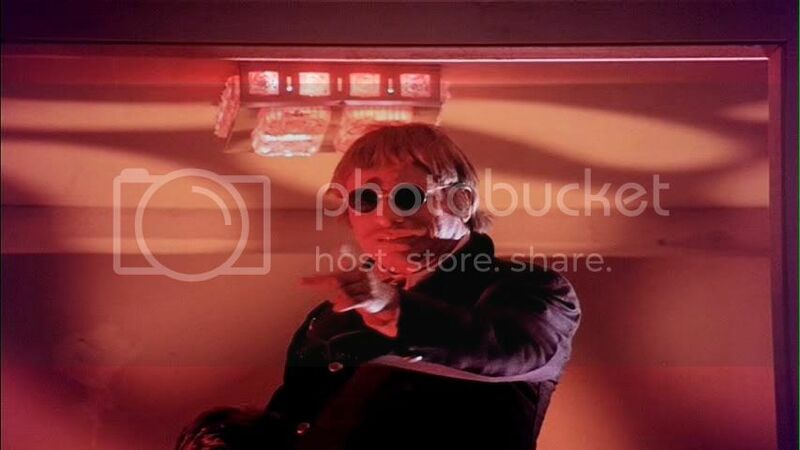 The PPCC's favorite scene, where Amitabh and Shashi get drunk and become friends. 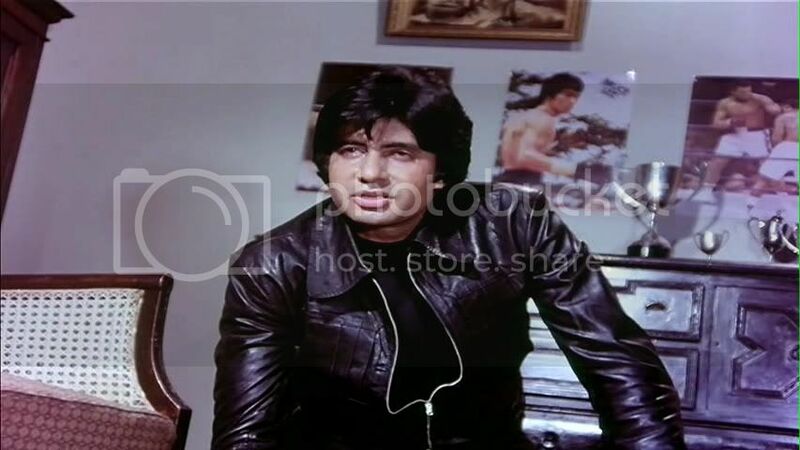 Note the Bruce Lee posters on Amitabh's wall. Note also Amitabh's sweaty, teary "drunk face". The PPCC doesn't like Amitabh's "drunk face". 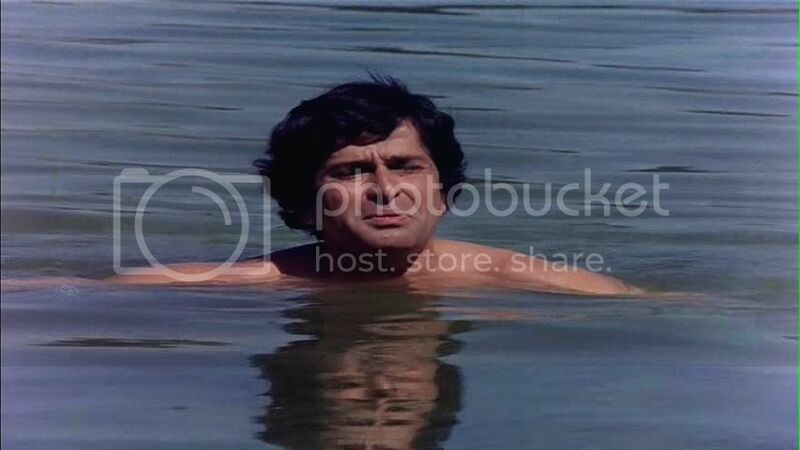 Not that Shashi's is any more flattering. 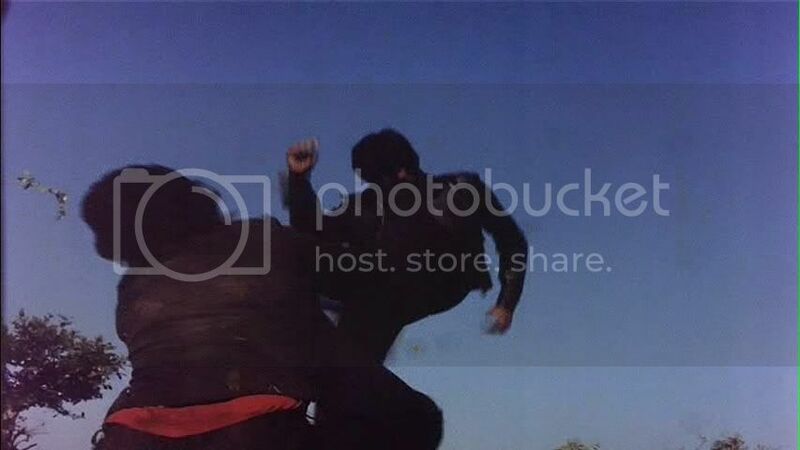 The joy of Do Aur Do Paanch comes from the sparring between Amitabh and Shashi. The film constantly contrasts and compares them; at times, they are identical (how they are dumped), at times, quite different (Amitabh macho, Shashi fey). As die-hard fans of Amitabh and Shashi, we obviously cannot get enough of this. Their chemistry is just wonderful. Unfortunately, the joy of Do Aur Do Paanch is only that. 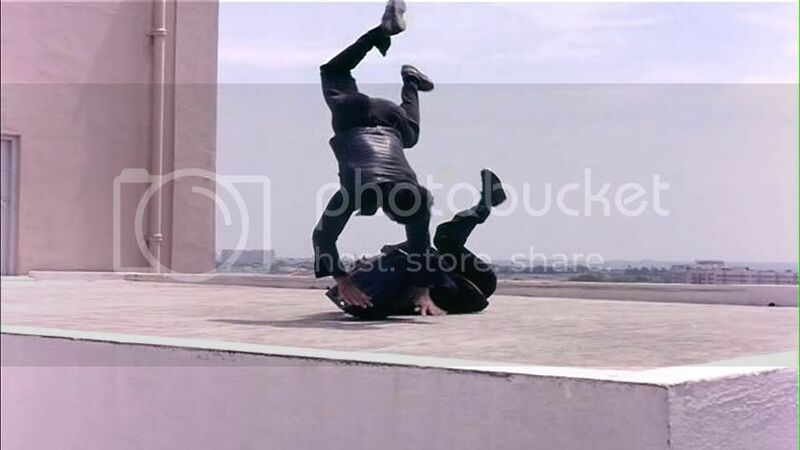 So if, by some severe head injury, you do not like seeing Amitabh and Shashi together or separately, the film will feel indulgent and flat. If you also enjoy seeing strong female characters, this film is not for you. Hema and Parveen - two wonderfully cheeky, charismatic superstars in their own right - are relegated to the most menial of supporting roles. They serve as merely decoration, and even then, decoration that you rarely see. Everyone else is marginal or forgettable, with the possible exception of Kader Khan (who is always a joy). Also - and other reviews have noted this - after Ram and Lakshman unite (as expected), and after a wonderfully evocative and masala-style humanistic scene of friendship and vulnerability (Amitabh was scared of Shashi! Who knew! 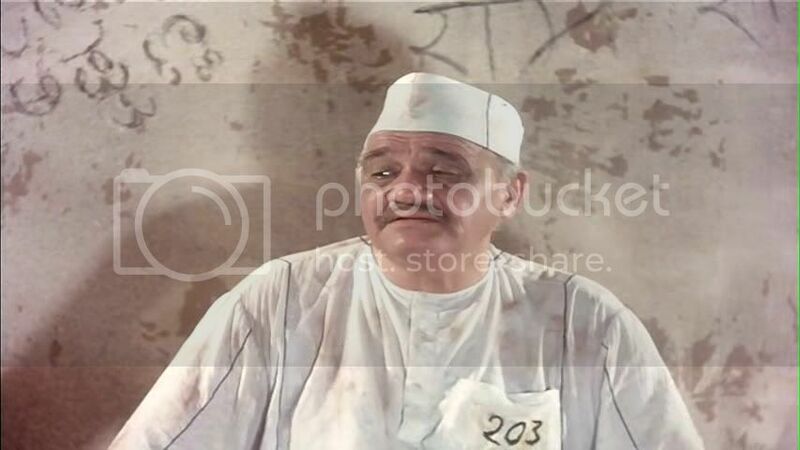 ), things just degenerate into bizarre tragicomedy. It's almost as if the directors, foreseeing the success of Ram and Lakshman's quasi-serious confessional scene, decided to try and push the drama a bit further by... poisoning all the children (?!). This, of course, works for no one, and it casts a weird, sinister, silly vibe over the proceedings. Sinister of silly? Note Kader Khan's mod haircut. 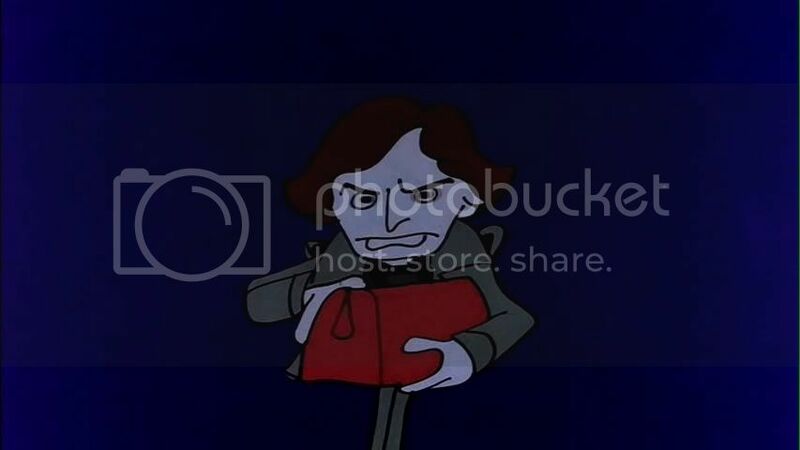 Speaking of weird and sinister and silly (but in a good way), the music is fab! What with the creepy windchimes that accompany Kader Khan's every move (or motion, piece of dialogue, or reference), and the beautiful little number Shashi sings to win over Hema's heart, the PPCC was left wondering: why not more music? The first song comes after an hour. WTF? We wanted more! And sooner! 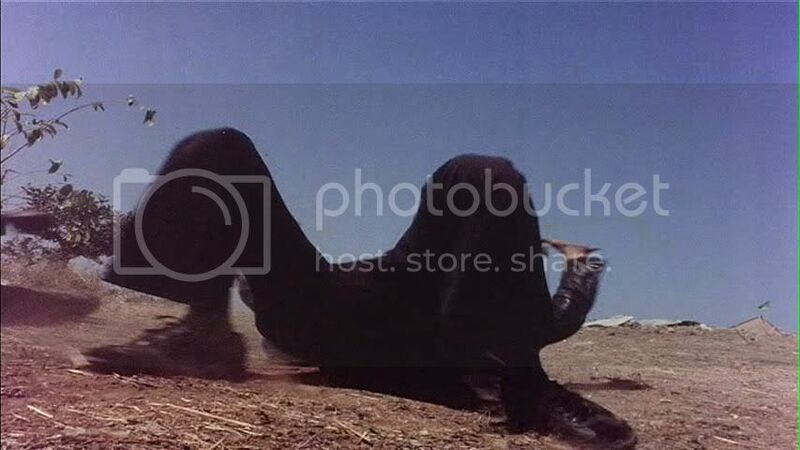 Also, the cinematography was amazing, especially in the kinetic, slapstick, surreal fight scenes between Amitabh and Shashi - and when the background music of handclaps of rhythmic breathing kicks in, who can't love this? It's like a modern art installation halfway during the movie! The fights were like modern art. All in all, the PPCC loved it, but only because it reaffirmed all that we love of Amitabh, Shashi, and masala movies. A better introduction to these three things can be found in the rollicking Suhaag (no, we still haven't reviewed it, and now we're almost too intimidated to do it!) or the more socially-aware and serious Kaala Patthar. Do Aur Do Paanch was just one of the last, wheezy huzzahs of that great decade of Bollywood, and the genre's decline shows in the moments of rickety, self-congratulatory tone and the slightly saggy leads. We love 'em, but we loved 'em before this. * Master Bittu is one of the few Hindi movie child actors that the PPCC intensely dislikes. For a long while, we were unsure of his gender, as our first introduction to Master Bittu was as young Pinky, the daughter, in the dismal Mukti. Admittedly, Mukti forgave no one, and no one emerged unscathed from it - even our beloved Shashi. Bombay producers apparently saw something in little Bittu despite Mukti, or maybe he was just someone's son, but he went on to torment us in Fakira, Chori Mera Kaam, and now this. Oddly, we kind of liked him in this. Perhaps he was outgrowing his awfulness. We at the International Relations Ministry of Shashi Pradesh are shocked that an agency such as yours would consult only one source as "the word on the street" when it comes to such an important, relevant, and far-reaching topic as a Shashi film - especially a Shashitabh one. Aww, jeez, guys, we didn't mean to exclude you from the street! But we were convinced you too didn't like it. Of course, then when we had to link, we realized that you had given it a good review. Interesting that the parents couldn't stand it, though! Apart from that song in animal suits, I thought it was quite enjoyable. But again, maybe many of the jokes are a bit insular. ...though with enough Shammi to go around, one might argue. I loved this movie (so I'm with Beth on the man on the street thing). However, I have never been accused of having good taste. I meant that not in terms of girth (though, yeah, it was looks-like-Santa-suit time for Shammi) but in overall presence of bloat and fuddy-duddy-ness of his performance. However, it's not his fault that his character is kinda dull. I ordinarily would not object to being appointed "word-on-the-street" but I feel in this case that masala connoisseurs like yourself and Beth are better qualified to judge the merits of this film than I. Not that I don't love a good rollicking masala romp - especially a Shashitabh film - but they do have a certain sameness after a while, and all I felt about this one was that there wasn't anything in particular to make it shine over any other. You mentioned the blandess of the women, and that is for me far more than a minor weakness, as the best masala films feature heroines that are tough, gutsy, and take names. This film struck me as particularly egregious in that regard, as I recall, since it started so promisingly, with Hema Malini flinging 55-gallon drums at the thugs who were after her. Saw this movie on VHS back when it first came out and Amitabh cursing in Hindi during the first jail scene was music to my adolescent ears :) Loved this movie - especially the scenes between our two heroes and all their sparring. When Amitji broke the proverbial 'third wall' and spoke to the audience after eating was just brilliant! The movie did dissolve into silliness after the two became 'friends' but the comedy parts as well as the Kishore Kumar song 'Tune Abhi Dekha Nahi' make this film a must see for any fans of masala Bollywood movies. The song w/ dressed up kids freaks me out. Period. Honestly though, this has to be the most "pure fun" movies by Shashitabh (love the moniker)- the others have SOME sriousness, but this one can relax w/. 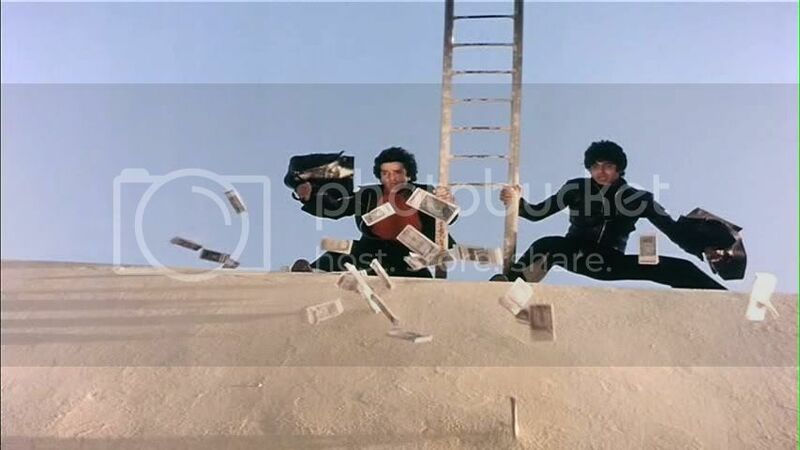 For me, this movie and "Imaan Dharam" were in the same category. I feel the same way watching this movie as Amitabh would have felt while being force fed. I was also warned about the "word on the street" about this one. But i really liked this film! It is a classic and I have enjoyed it everytime I have watched it. 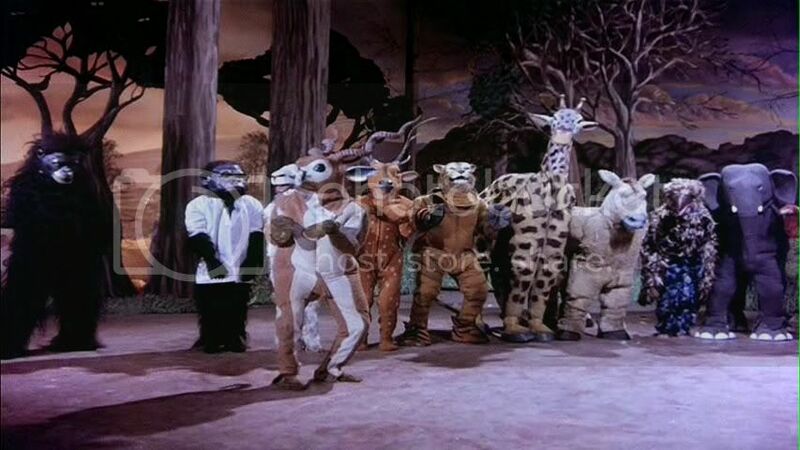 And to boot, I just learned that my wife played one of the animals in her school's version of the animal suit song. Heh! Heh! Review Hera Pheri, the Amit Vinod flick. That is fun too, especially how they cannot recognize the villain. Go figure!! Loved this movie upon revisiting it after years.